more, and with drills and tips in abundance, Drive It! 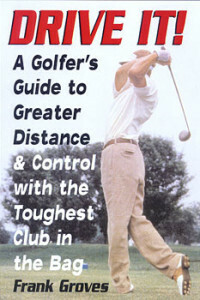 will put any golfer on the road to big drives and low scores. Frank Groves is a championship-caliber amateur golfer, posting a 73 at age 9 and a 63 at 15. He has been paired in competitionwith Tom Watson and Arnold Palmer and qualified for the 1997 US Senior Open.